After hanging out at Uplands Cheese I got back in the car and in less than an hour was at one of the most impressive human-made cheese caves I’ve ever been to. What an embarrassment of riches Wisconsin has! I said this at both my readings and it’s true: The Dunbarton Blue, Pleasant Ridge Reserve and Blue Mont Cheddar are not just good Wisconsin Cheeses, not just good American-made Cheeses, but stand up with any cheese in the world. And you can visit them all before lunch if you leave early enough in the day! Willi Lehner makes a great traditional Cheddar even though he doesn’t even have a cheesemaking facility on premises. 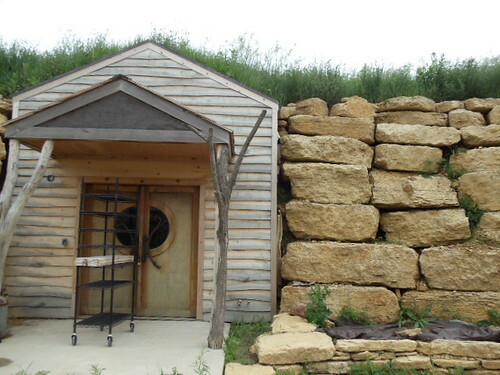 Heck, there’s plenty of places to make Cheddar in Wisconsin, but there’s only one cheese cave built into the hill of Blue Mounds, Wisconsin. I just wish I had moved the shelf out of the way before I took the picture. And check out the inside! It’s beautiful! Longtime readers have seen me mock the use of “cave” (or “caaaaaaaav”) many times. It’s hard to resist when “cave-aged” often means “aged in a modern, strip-mall, temperature-controlled warehouse where the cheese may be cryovac’d anyways.” But caves — even ones built, not found, by cheese-agers — do have a lot of value. 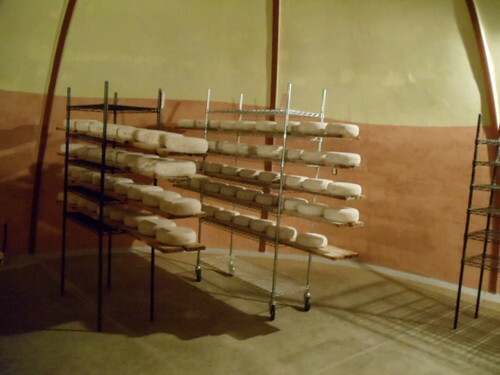 They prevent excess airflow, thus maintaining the environment of beneficial microbes that help the cheese develop flavor, and they control the temperature and humidity efficiently. Willi just makes and ages amazing cheese. His Cheddar is grassy, bright, earthy, sharp, shardy, and milky sweet… one of my absolute favorites. There’s not a lot available – it’s hard to find even in Wisconsin – but if you see it, grab it. 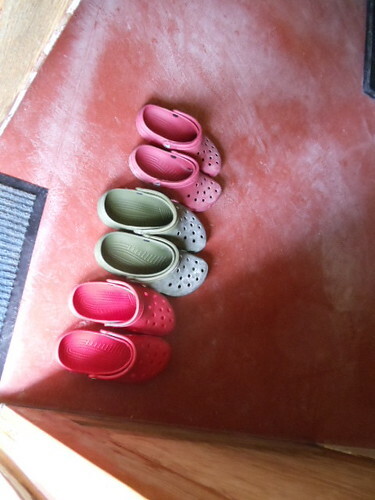 Plus it’s the only cheese aging facility I’ve ever been to where Crocs are mandatory footwear.